Besides being the fastest land snake, the black mamba also has one of the fastest-acting snake vemons of any land snake. The venom of the black mamba could prove to be a very beneficial painkiller without any of the negative side effects of morphine and other narcotics. Biblical creationists recognize that God created a nonviolent world without animal or human death. Many think that, knowing the future, God designed snakes from the start with the genetic information they would need to adapt to a cursed world. 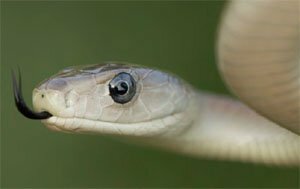 How amazing to think that God’s design for the snake to adapt in a cursed world would not only provide for the black mamba, but also potentially relieve pain for human beings.